Very comfortable ride. Excellent crash test rating. Roomy and better-looking estate is the one to go for. Front and rear of pre-September 2004 hatchback look like they're from two different cars. High number of faults. Expensive diesel particulate filters of 2.2 diesels can need replacement every 4 - 5 years. 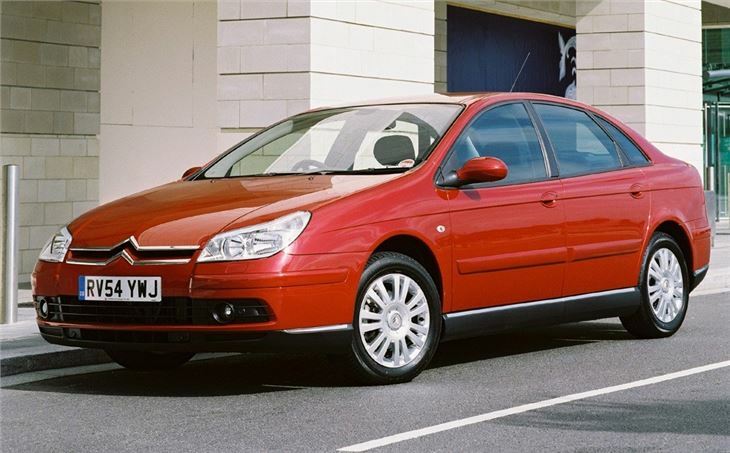 Report of 2003 Citroen C5 2.0HDI 110 reaching 170,000 miles and still providing the same MPG as when it was new, just as comfortable, cavernous boot space and tows a trailer well. 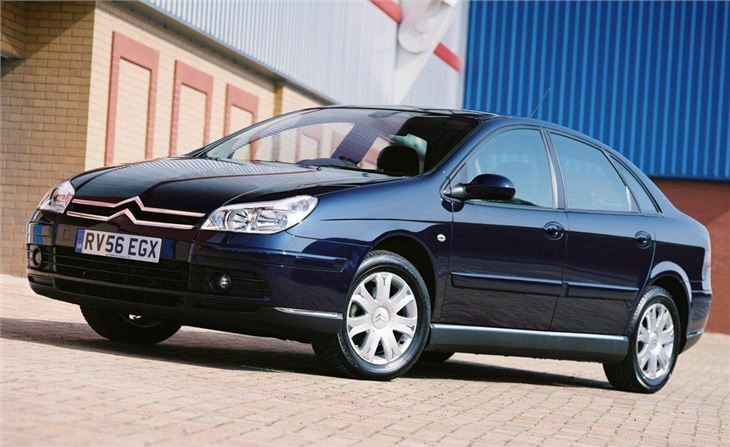 At last we have some distinctive shapes among upper-medium family cars. 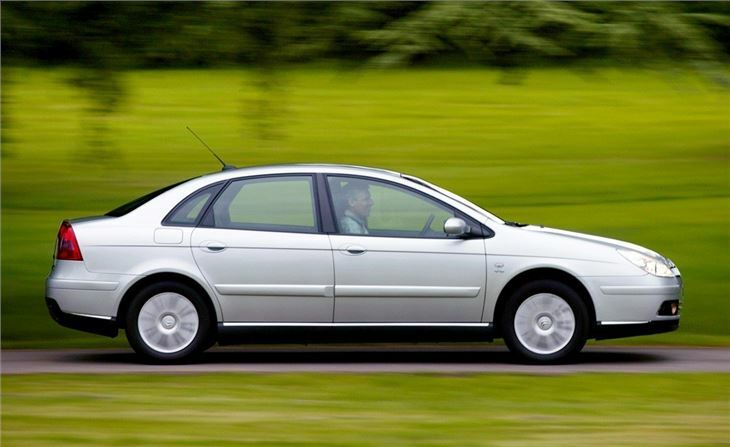 The 'top hatted' VW Passat started the trend, the handsome, clean-cut new Ford Mondeo followed, hotly pursued by the stylish, elegant Renault Laguna II. 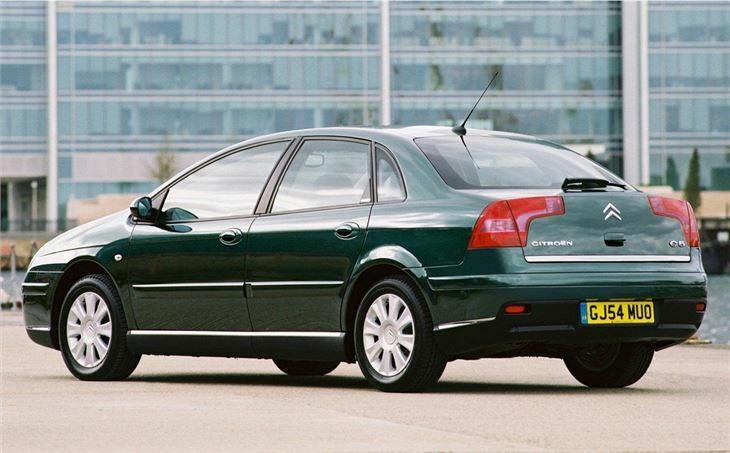 Now, to replace the Xantia, we have the Citröen C5. Beauty is in the eye of the beholder. 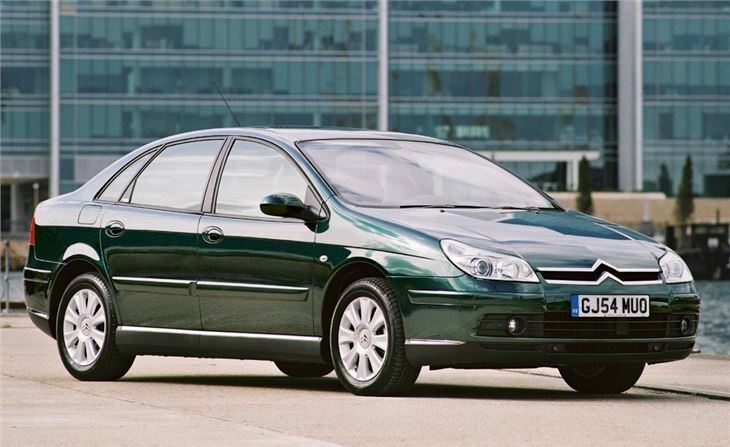 The C5 has beaten Peugeot to the PSA group's new 'platform 3'. A conventionally suspended 406 replacement will follow. But the C5 remains faithful to Citröen's unique hydraulic suspension, the latest incarnation of which is christened 'Hydractive 3'. One of the new benefits is automatic ride-height adjustment depending on vehicle speed and road surface, so at speeds of more than 68mph on well surfaced roads, the car lowers itself by 15mm at the front and 11mm at the back. On the other hand, if it encounters a poorly surfaced road, and the car is travelling at less than 44mph, ride height is automatically raised by 13mm. A further advantage of the estate car version (due later) is a switch in the loadspace which enables the driver to lower the rear of the car for easier loading. If ever there was a case for plastic surgery, it had to be the 2001 model Subaru Impreza. 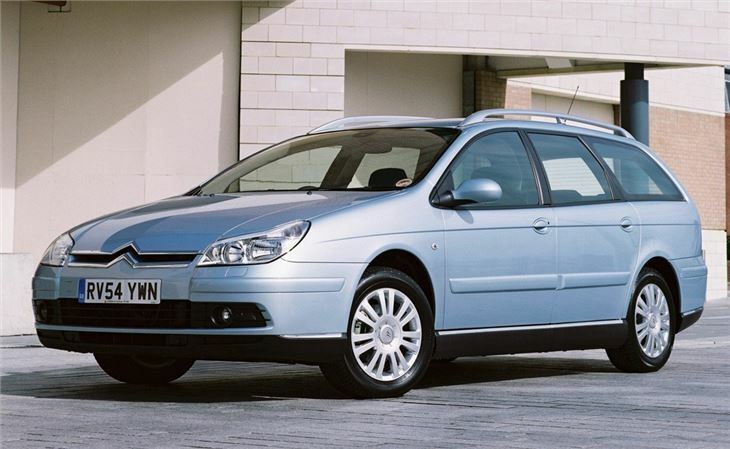 Closely followed by the Citroen C5 hatchback. Thankfully, in 2005, it got it. The C5 estate always had eye appeal. But the hatchback looked like two entirely different cars that had been cut and shut together. 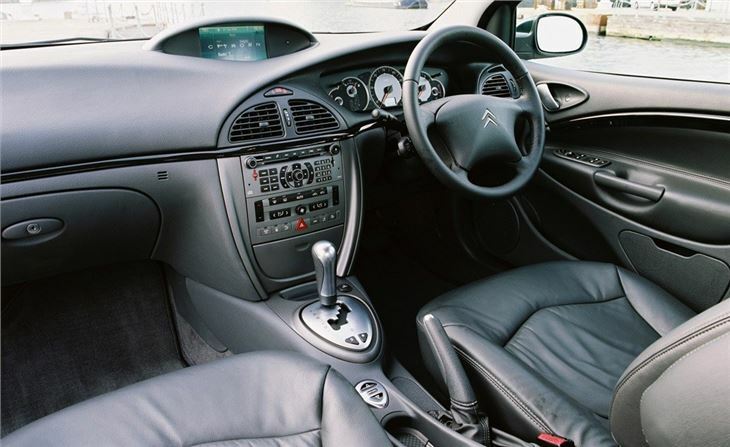 Citroen was so self-conscious of this it even delayed the C5 launch for some last-minute nip and tuckery which merely made the best of a bad job while the stylists at Velizy went to work on a full facelift. Judge for yourself. The front gives the impression of an Italian speedboat. The rear just a hint of a Maserati. But at least they now look like the front and back of the same car. And some angles are very pleasing. I'm harping on about this because the looks are the main change. However, there are a lot of other improvements, some extra equipment and some new engines, most significant of which is the one we drove. Takes the family and their luggage in comfort, still does 47 mpg and can tow my trailer. Super comfortable loads of space cheap parts good for touring and motorway but awful MPG in town.